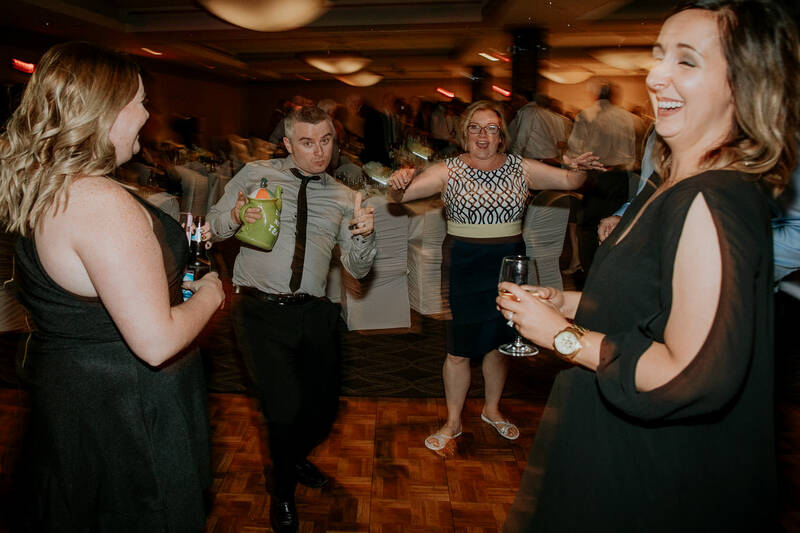 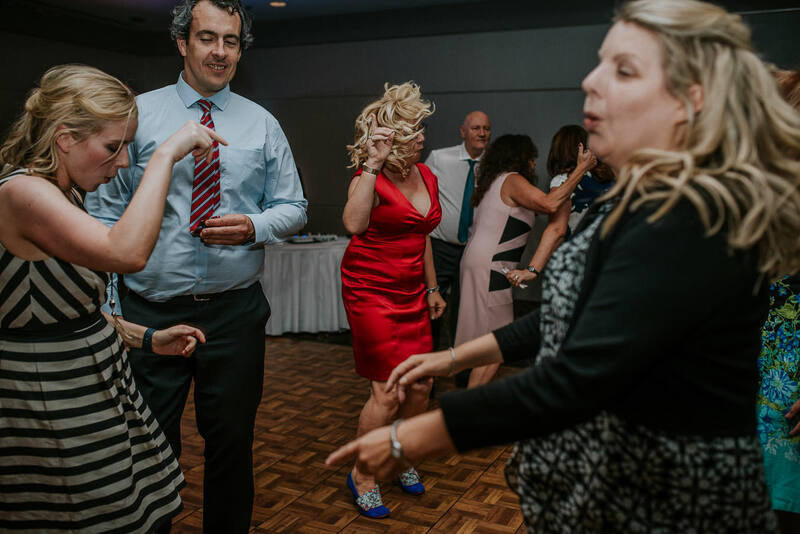 For some weddings, you just know that the party is going to be epic. 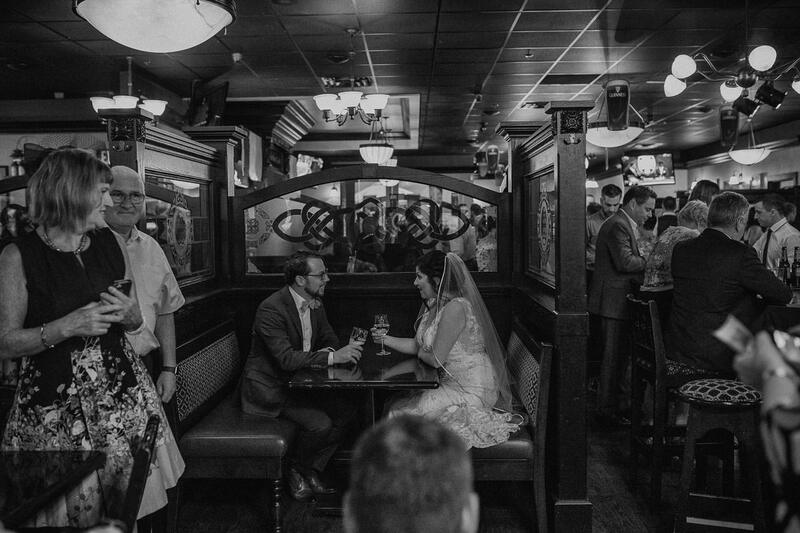 And early in the planning stages, Shara and Owen knew that their venue needed to cater to the late night party nature of their guests. 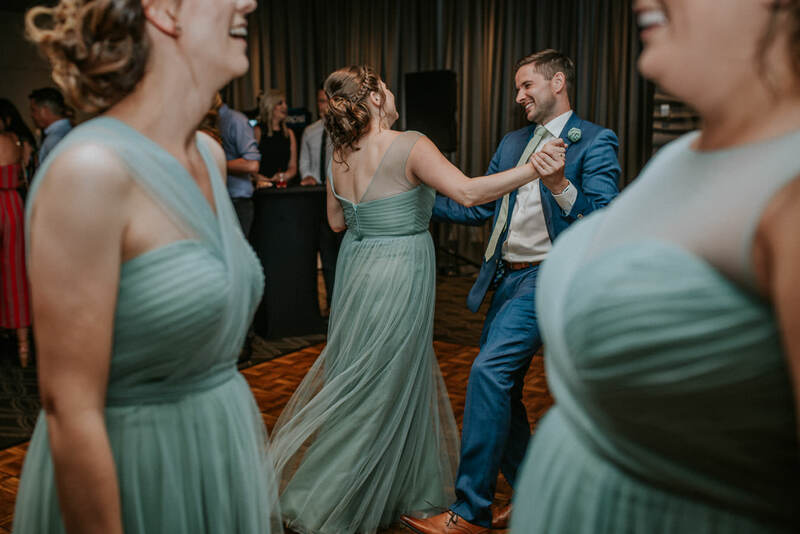 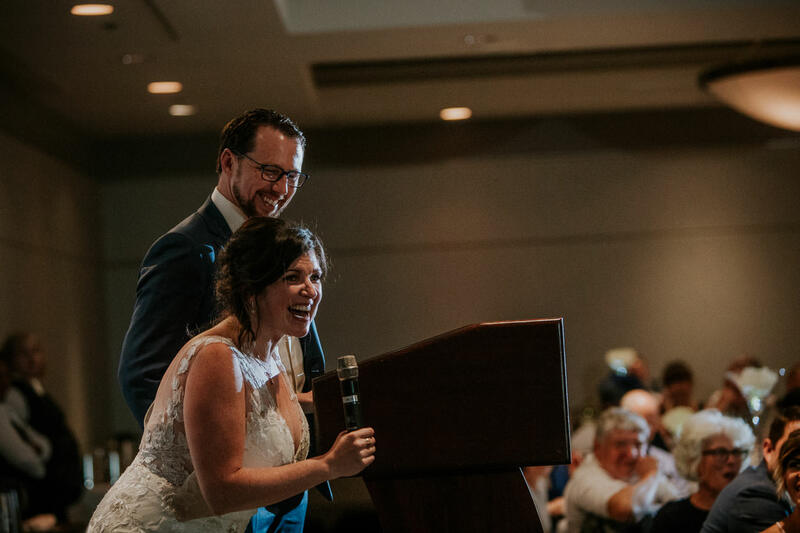 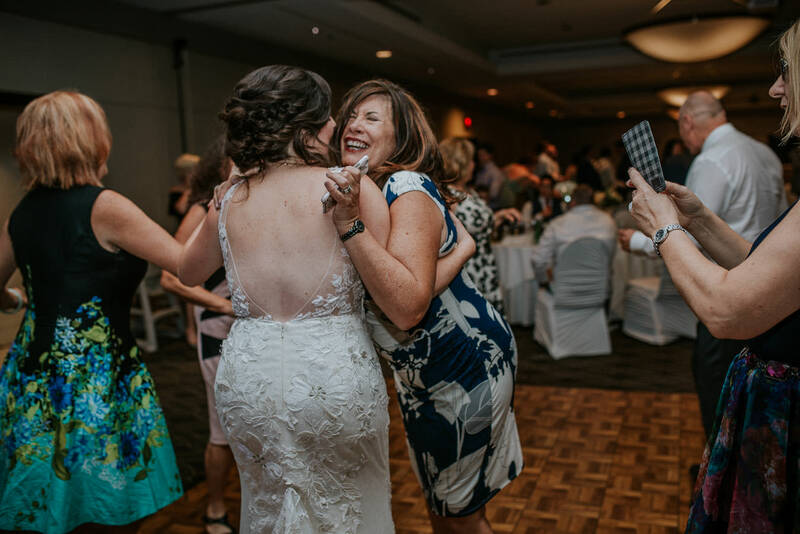 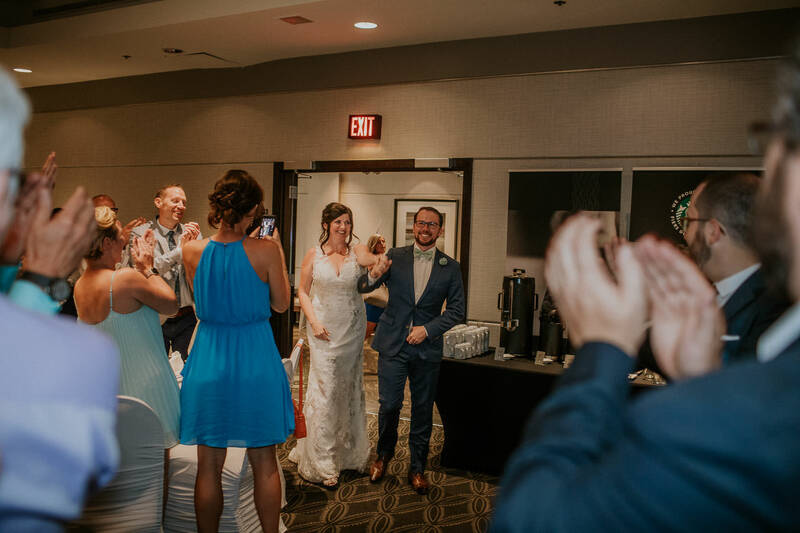 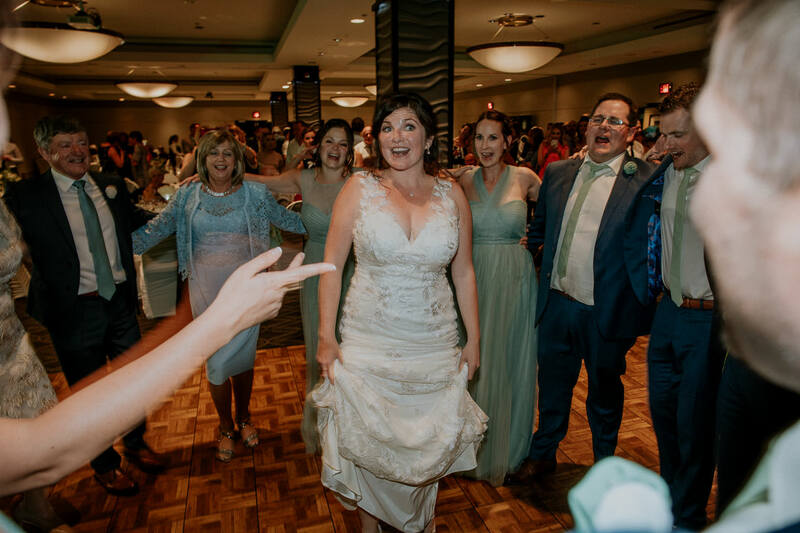 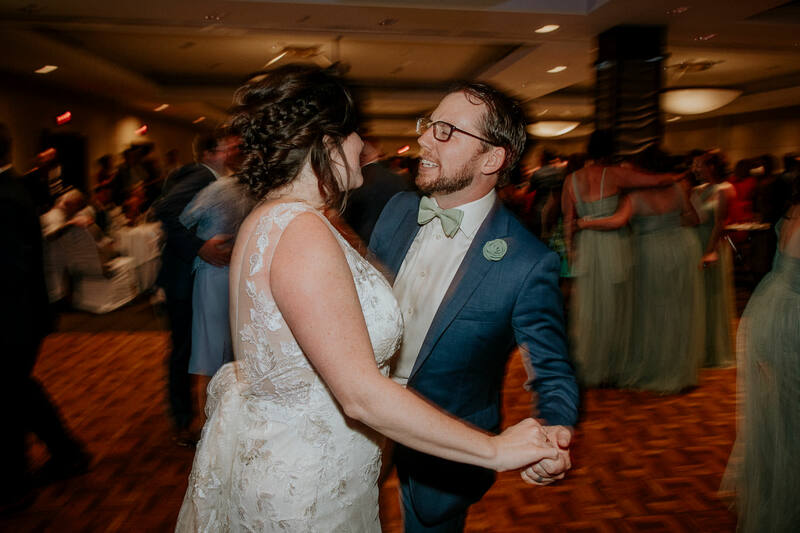 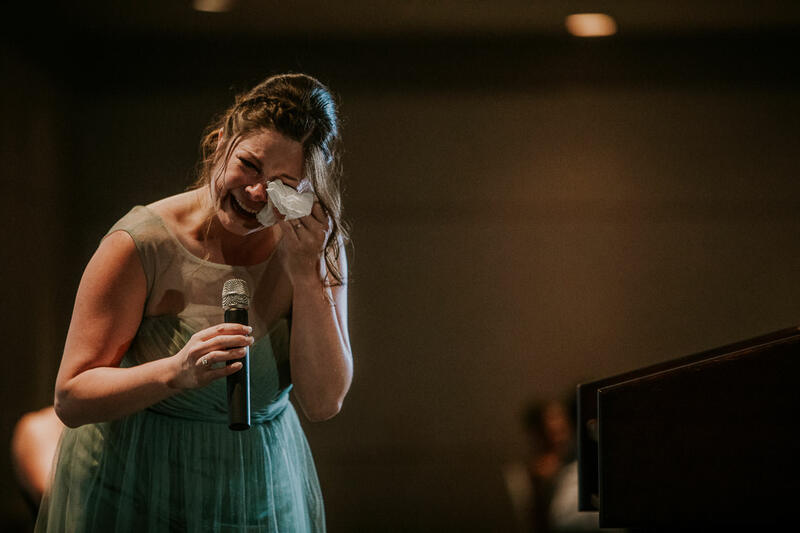 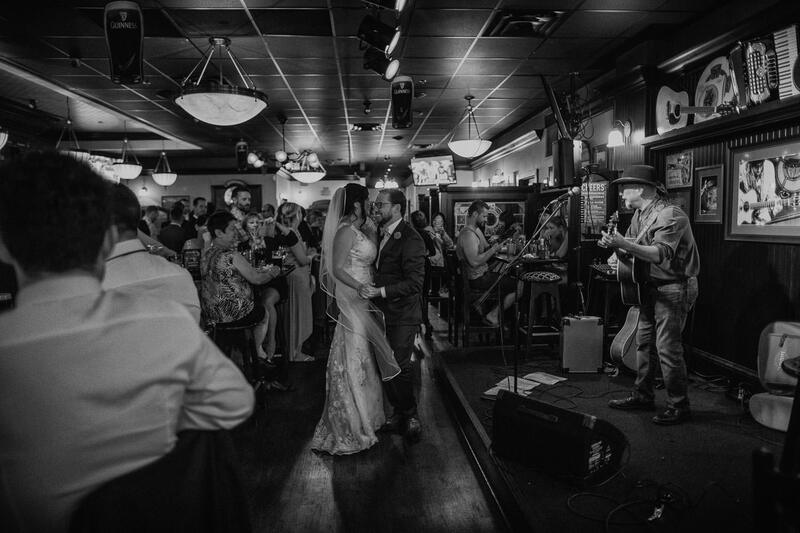 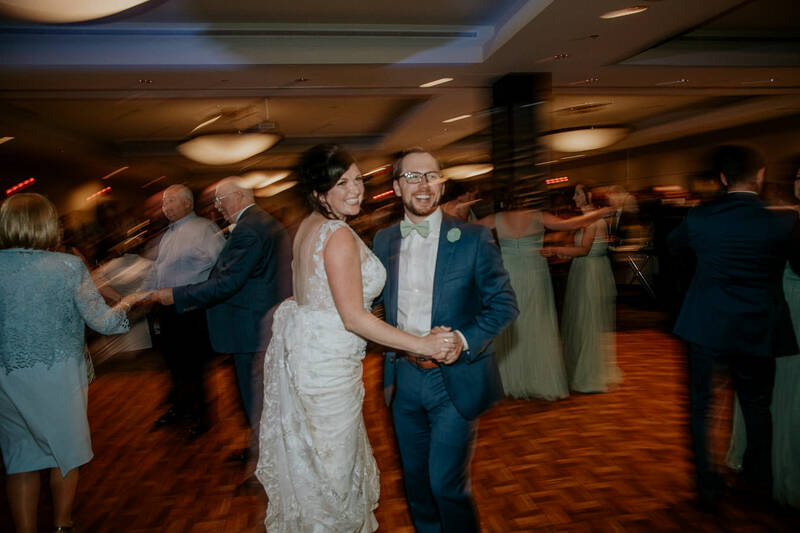 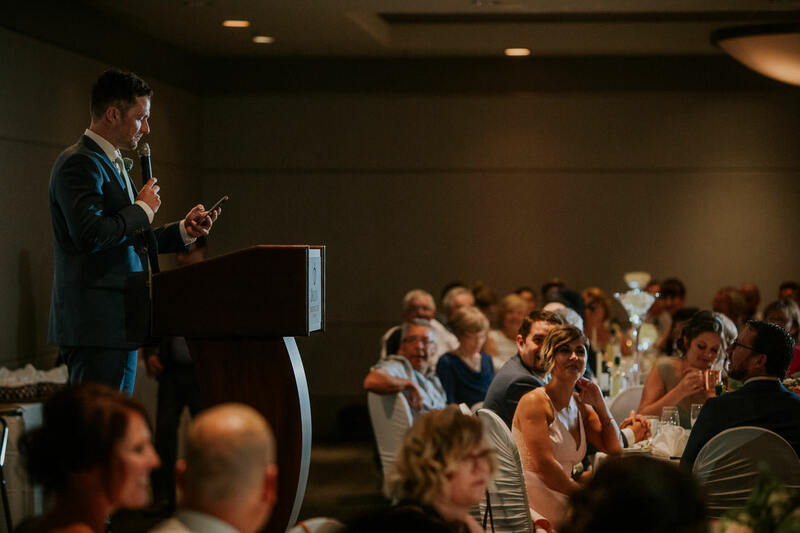 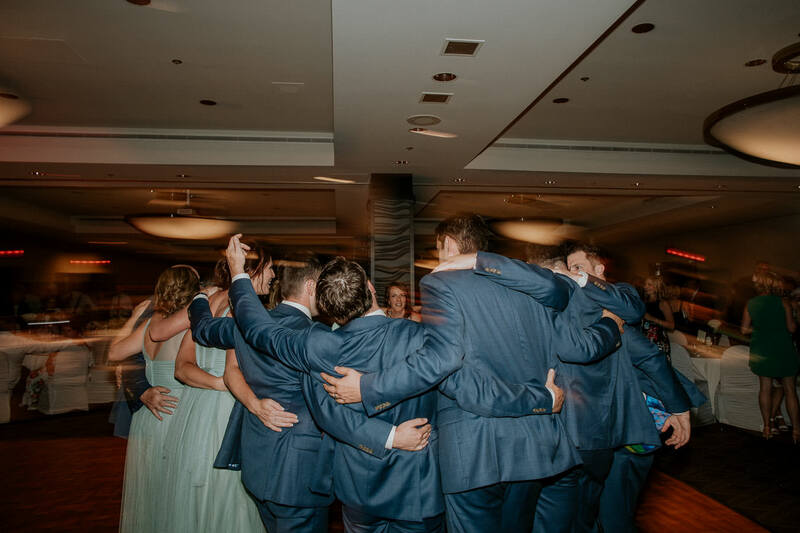 The priorities for selecting their venue was obvious to them – find a place that would let you party, and when the hotel had to shut down, make sure there was a place nearby they could go to for the AFTER party. 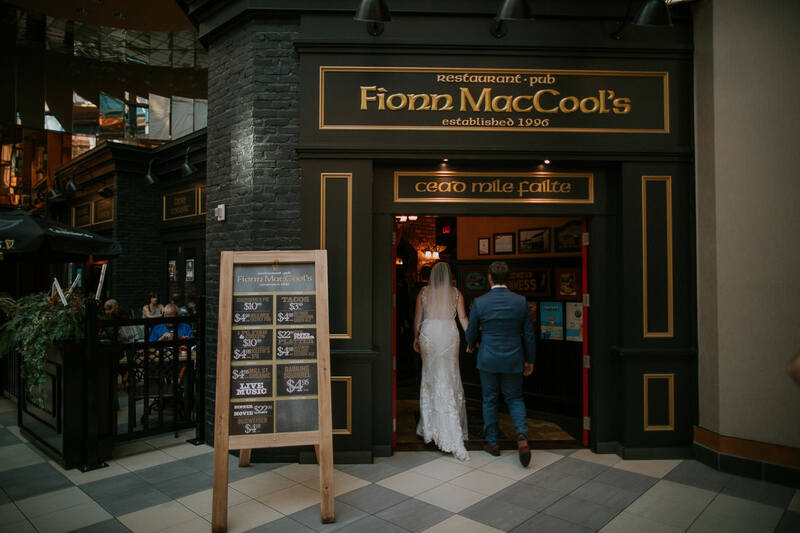 The Delta Centre Suite hotel in downtown Edmonton was perfect, and complimenting the hotel choice was Fionn MacCool’s, an Irish Pub located RIGHT next door! 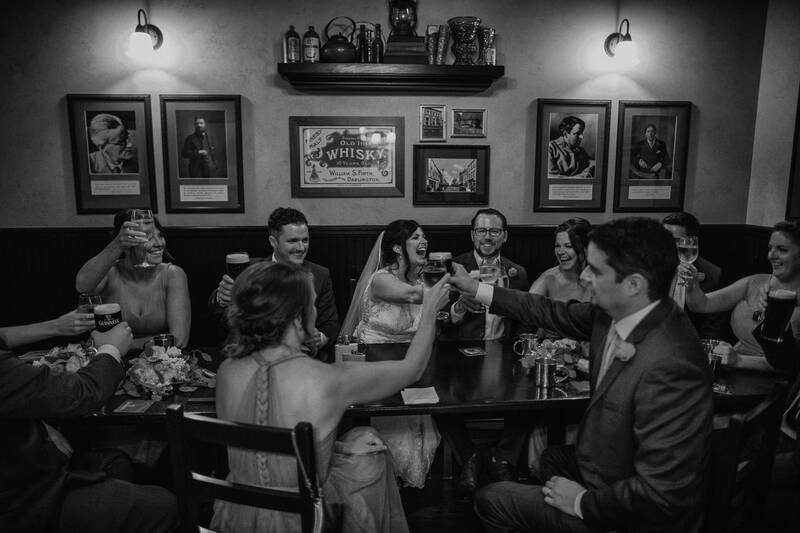 And after a few trips to speak with the staff, they made sure the pub was forewarned and ready for the extra traffic that would be coming through the doors. 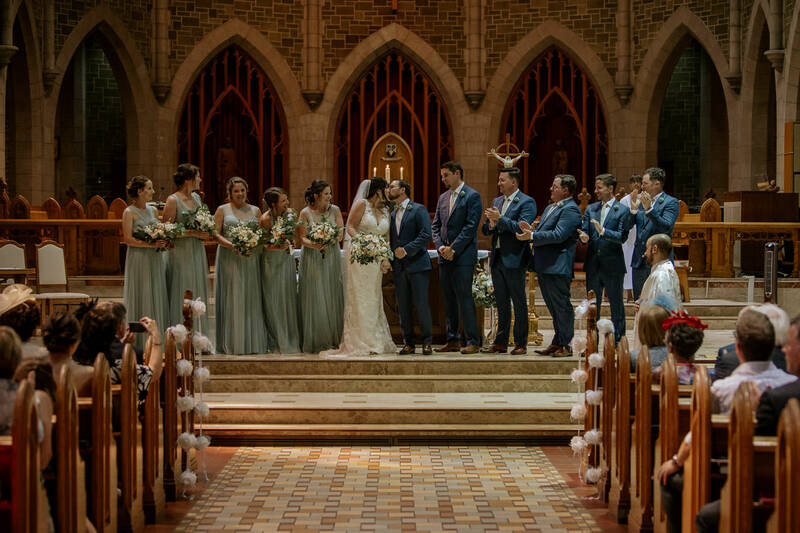 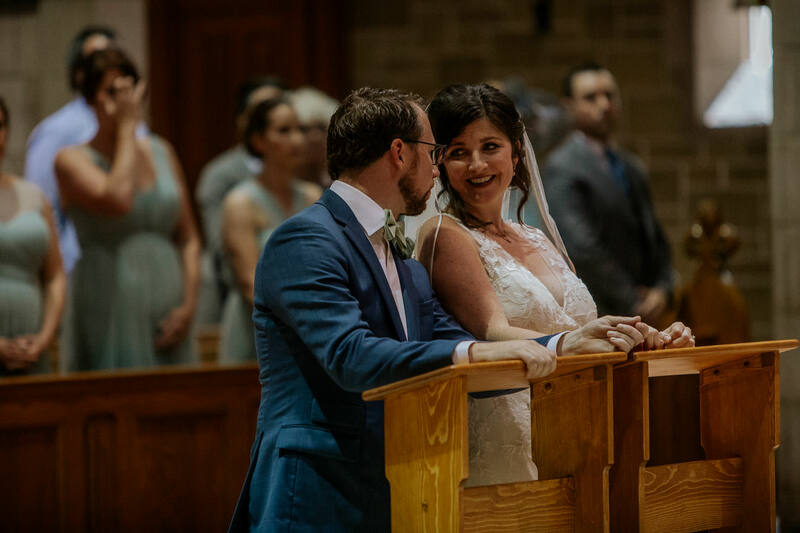 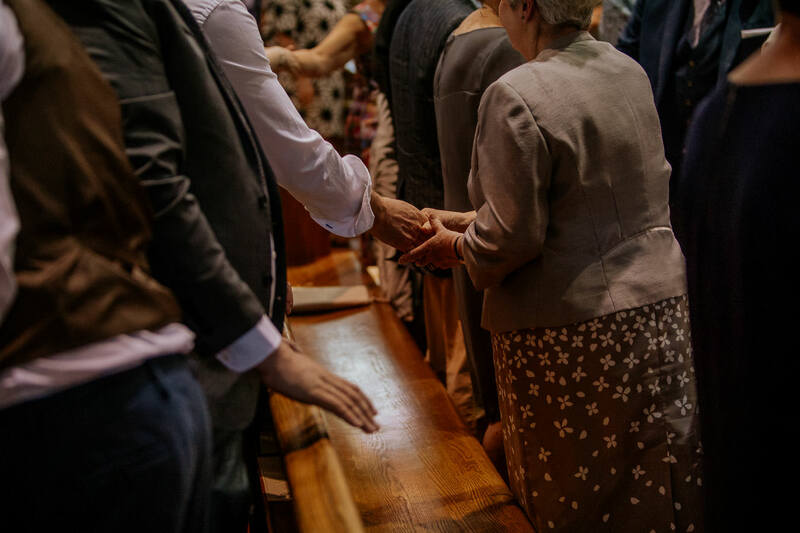 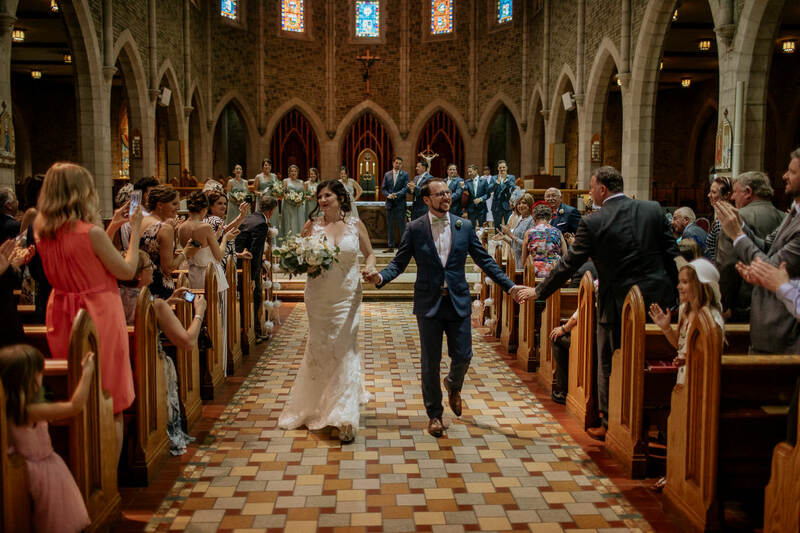 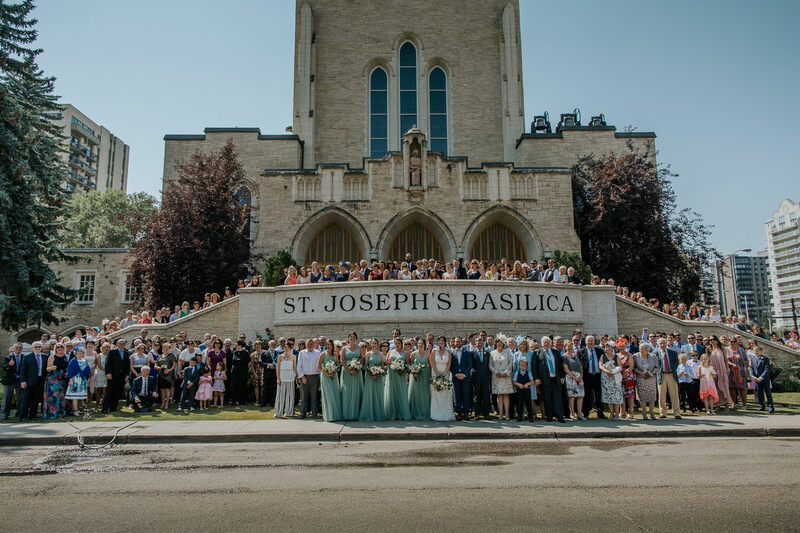 The ceremony was held at the beautiful St. Joseph’s Basilica, and the soaring summer temperatures meant we spent most of the day inside finding air conditioning. 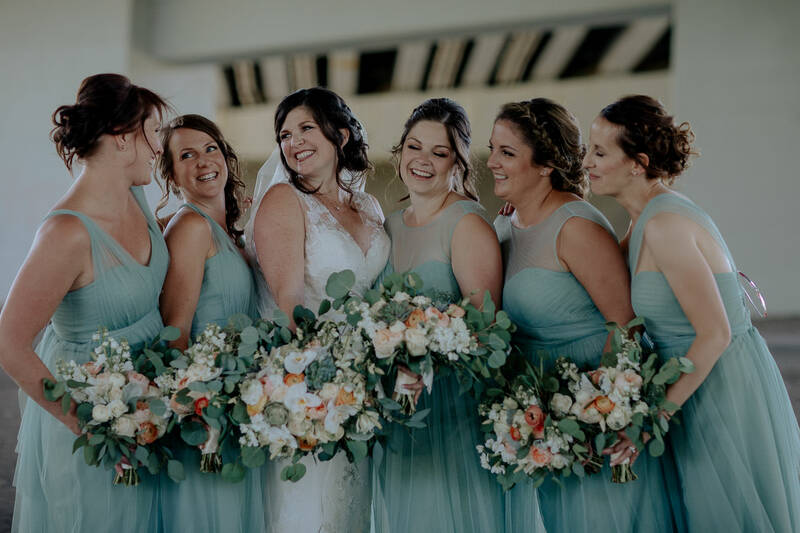 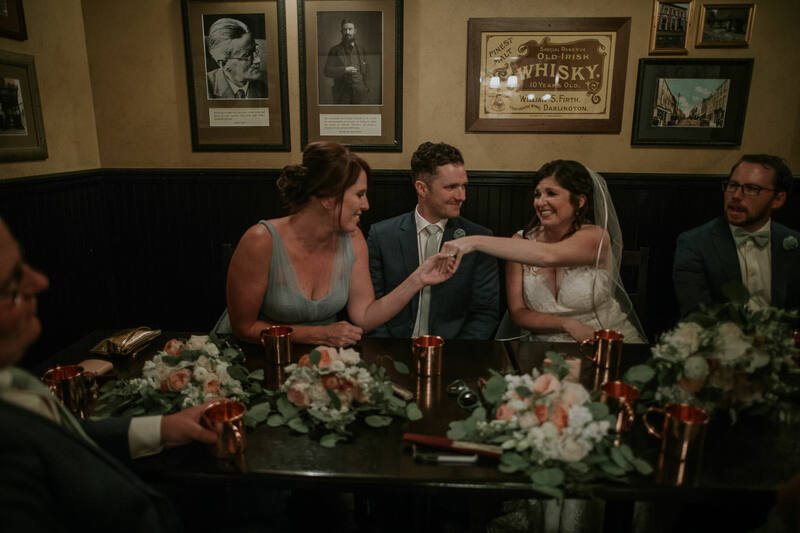 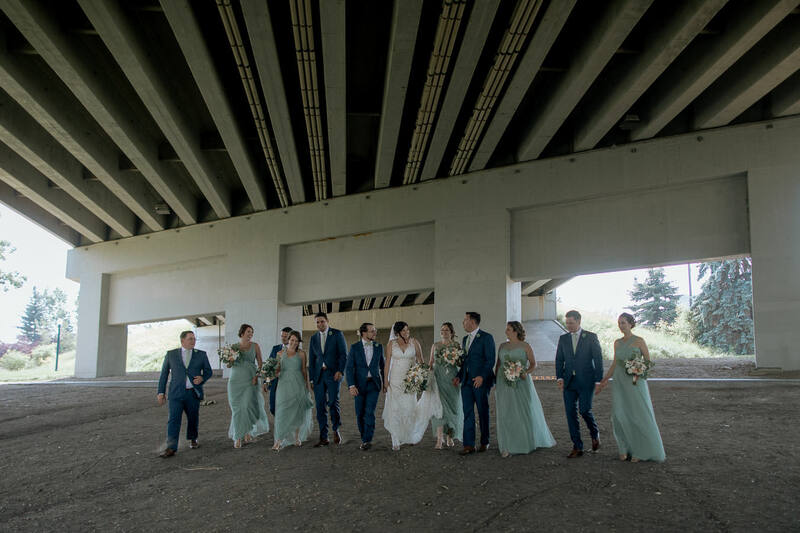 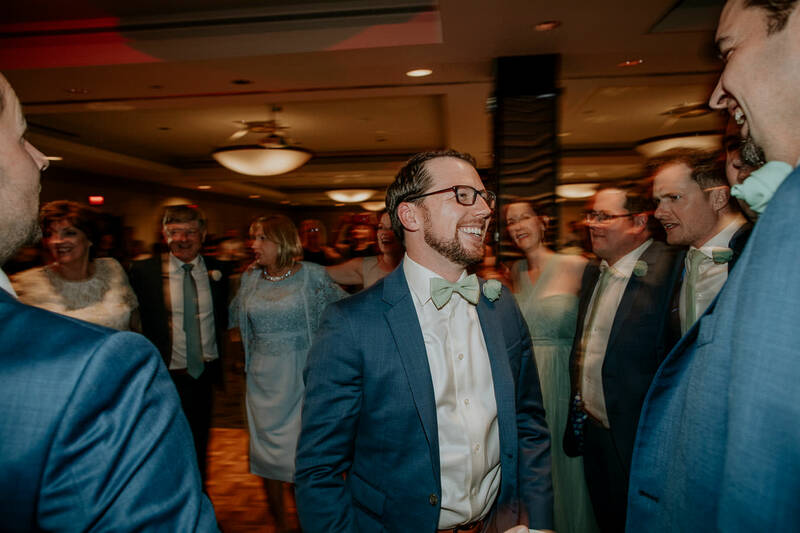 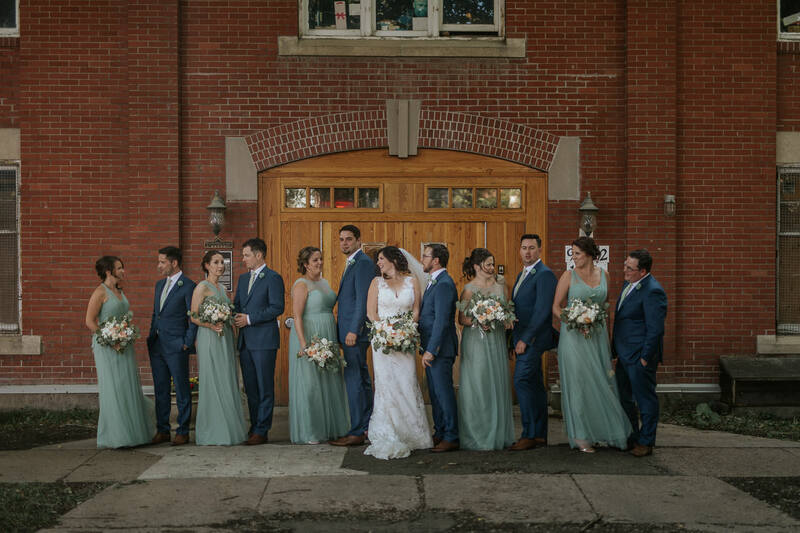 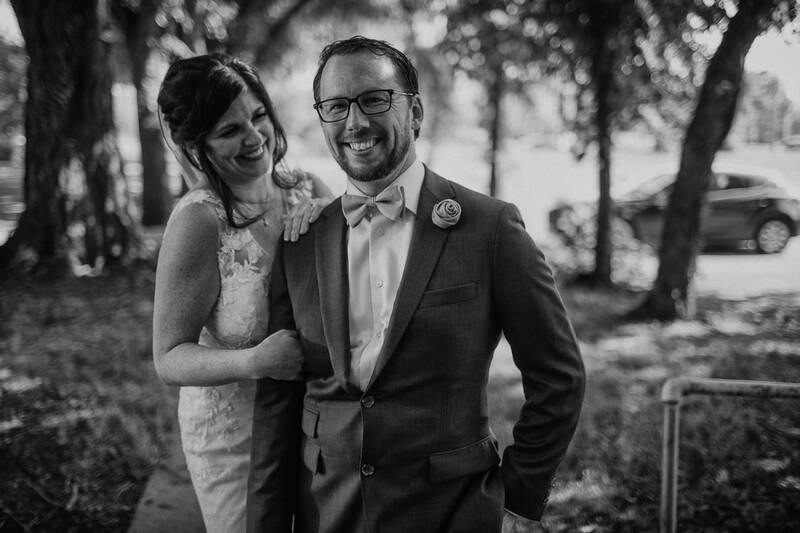 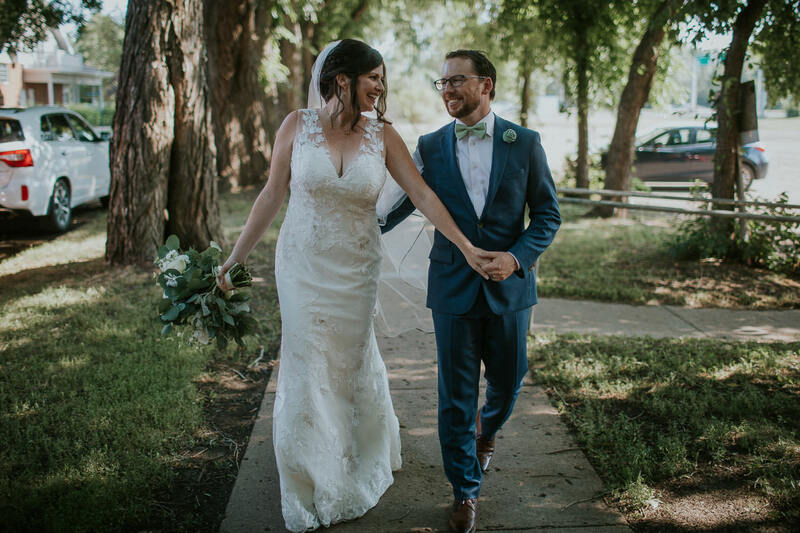 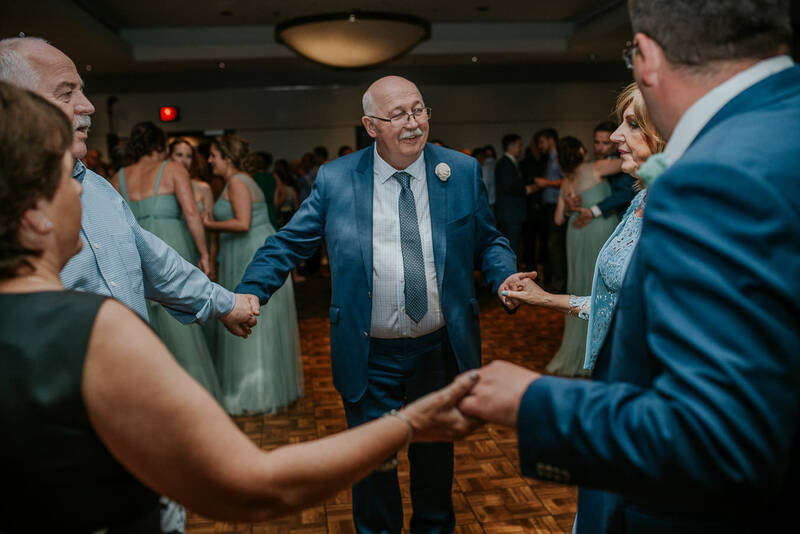 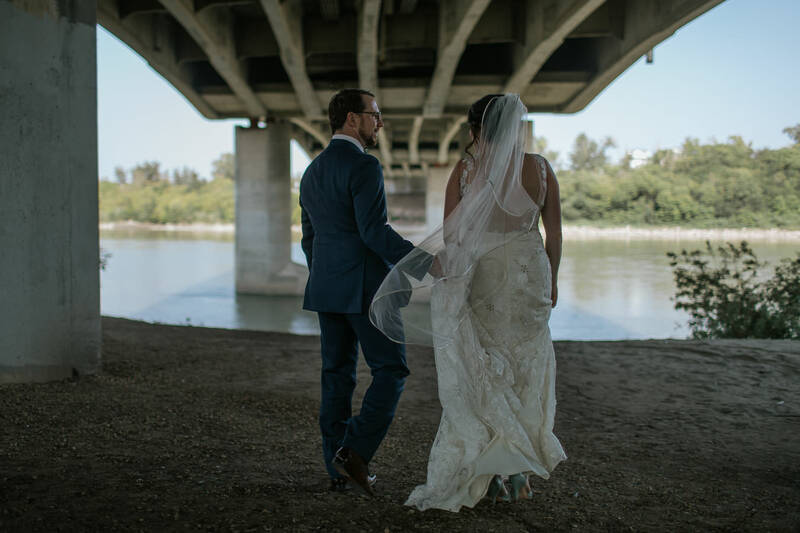 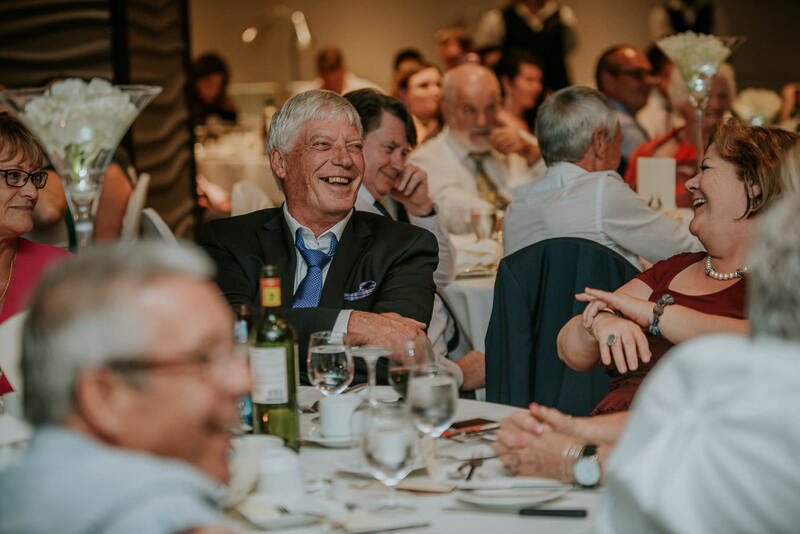 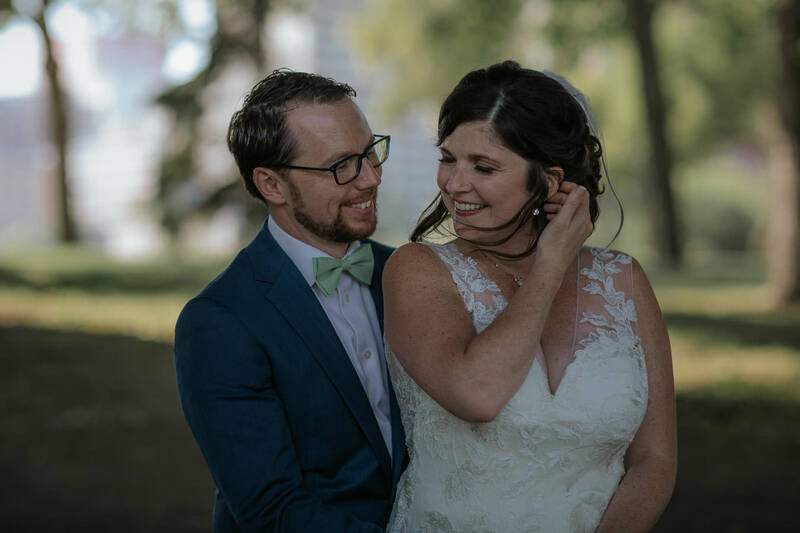 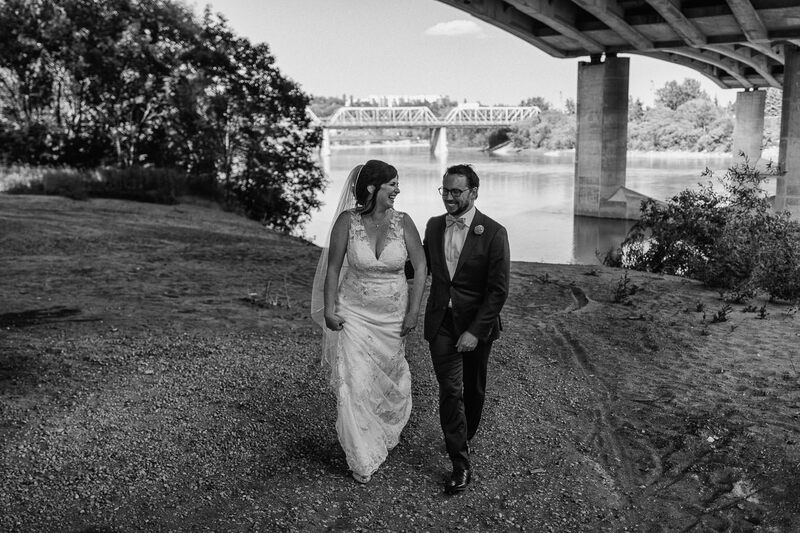 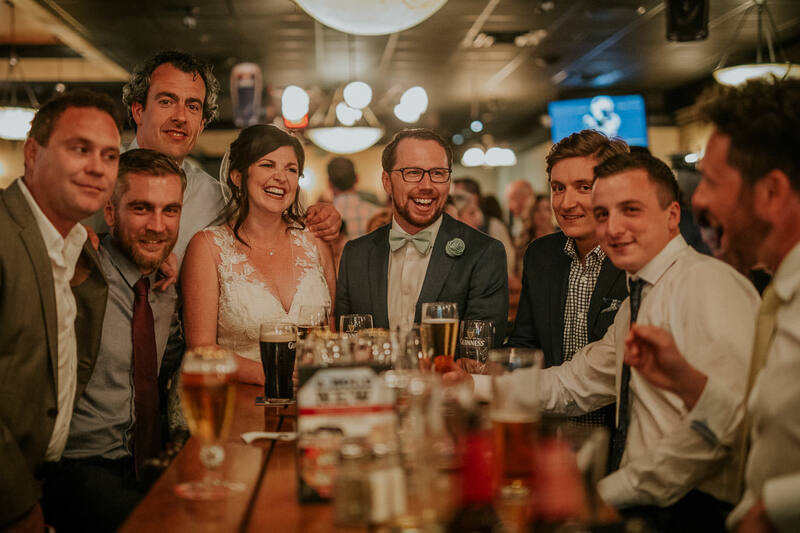 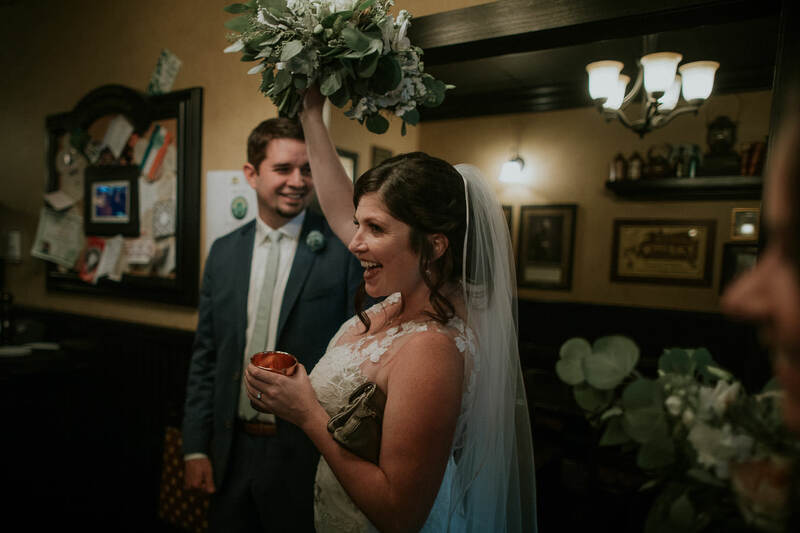 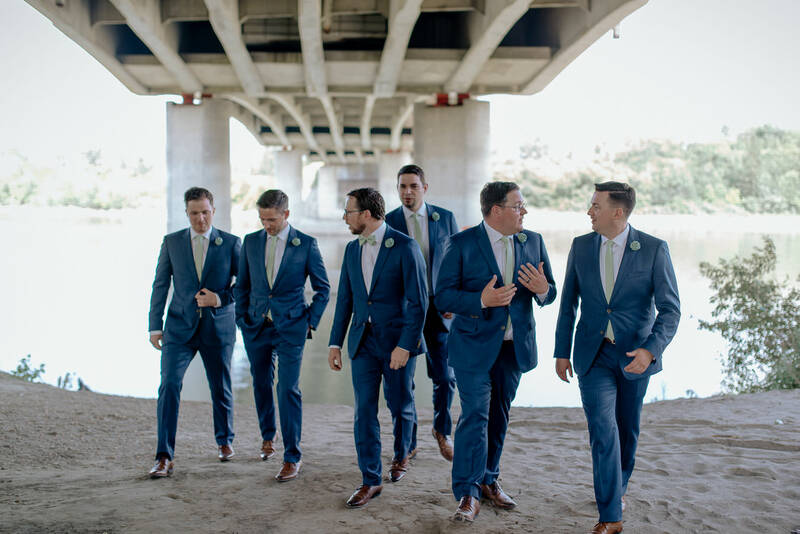 Which suited this group just fine – more time at the pub and enjoying the company of their family and friends fit perfectly with their ideas of a wonderful wedding day. 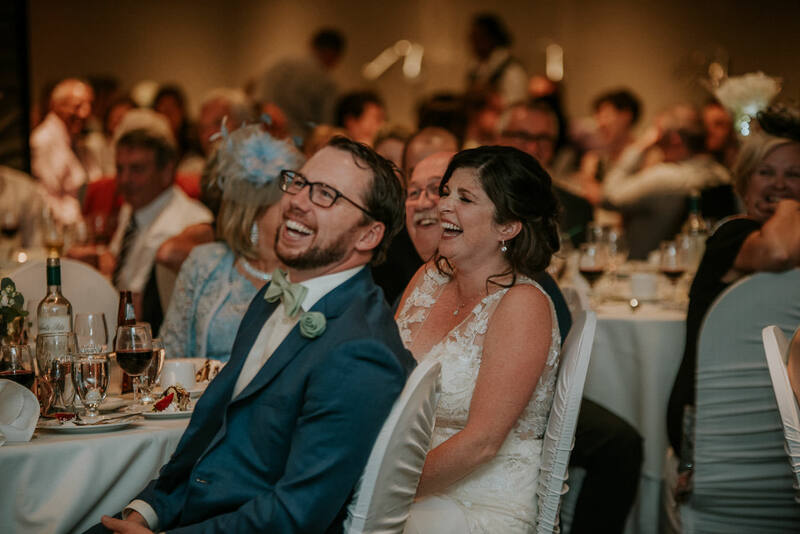 Such a wonderful day, filled with laughter, and love, and candid happiness. 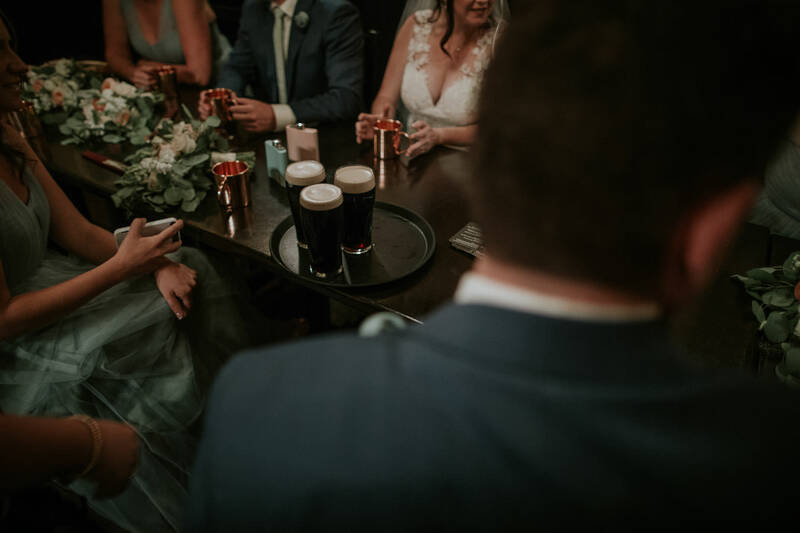 And Guinness. 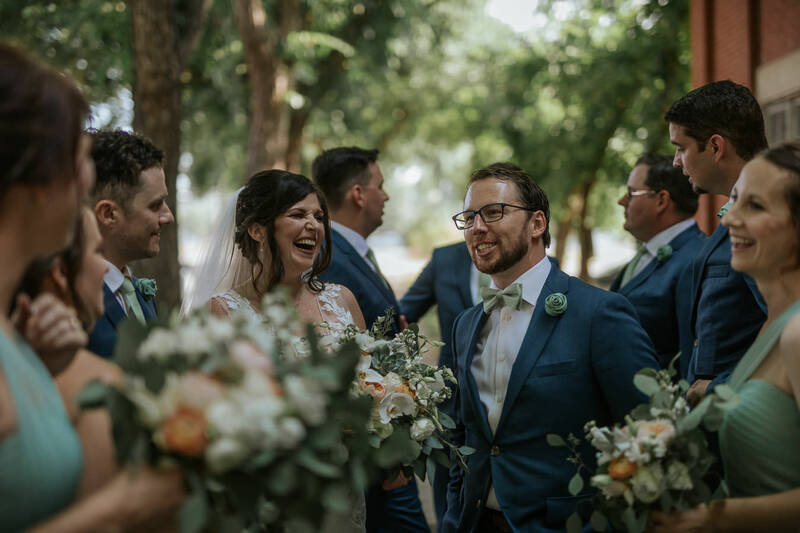 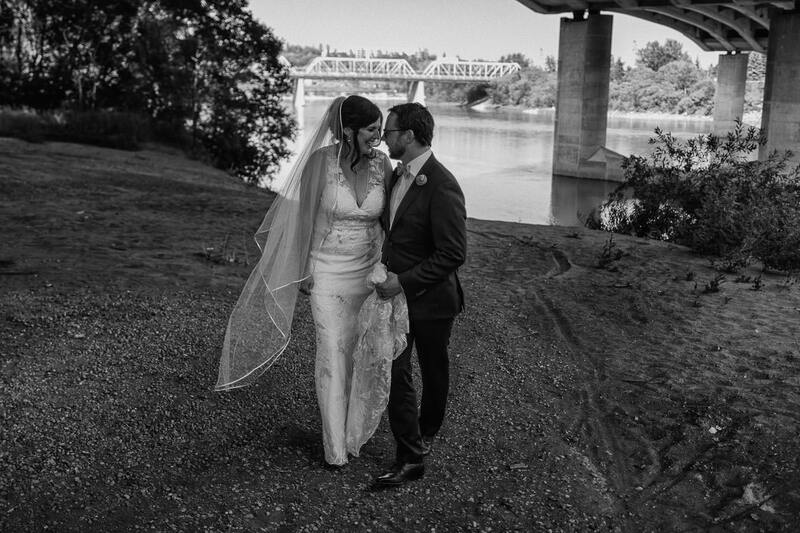 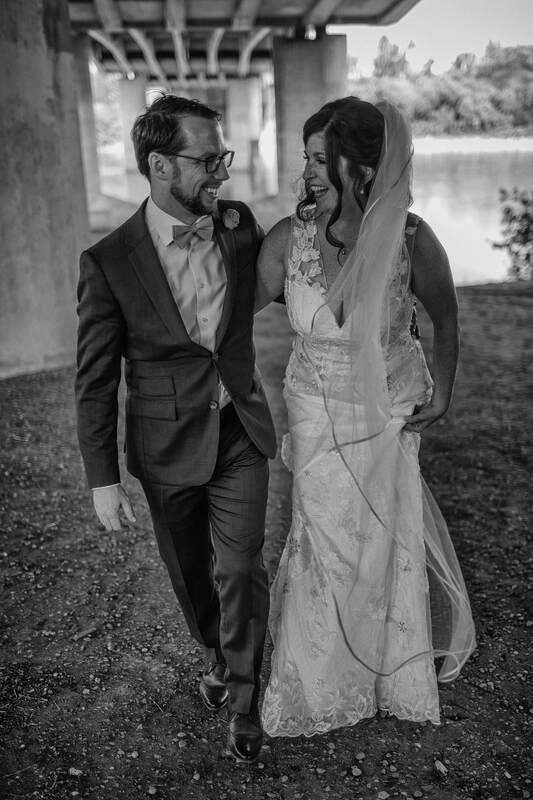 Check out the wedding slideshow above, or if you prefer to scroll, you can view some of their images below.